Continuum Footspas manufactures the finest, most beautiful pedicure spas available using quality components and expert craftsmanship. We design, engineer and build pedicure spas that are unique, bold and durable with a wide variety of styles and a price range for any budget. 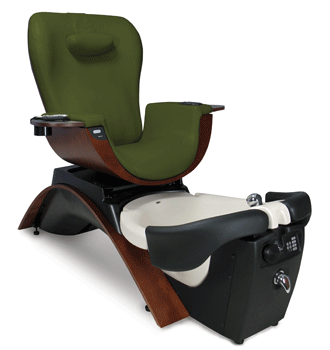 Continuum pedicure chairs are found in some of the most prestigious salons, spas and resorts in the world. Continuum is a family owned company located in New Berlin, Wisconsin. We invite you to experience our exceptional customer service that ensures your satisfaction. Join the Continuum family today.